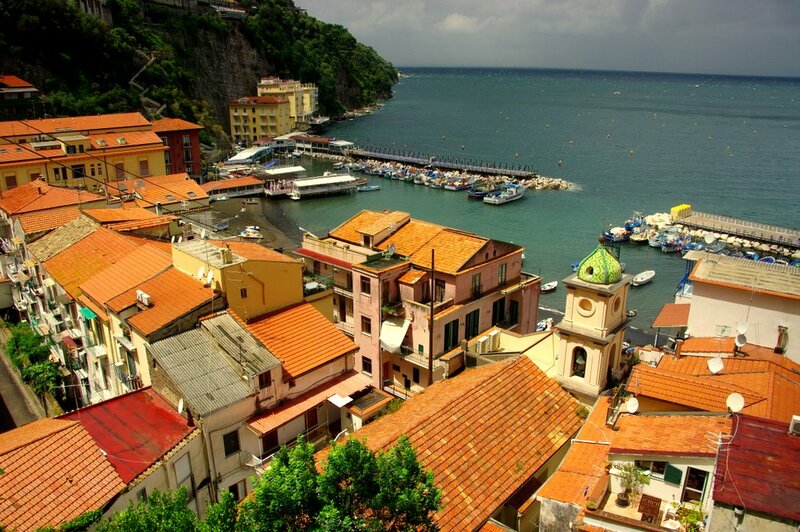 The last part of the town of Sorrento, towards the end of the Sorrento Peninsular is Marina Grande. 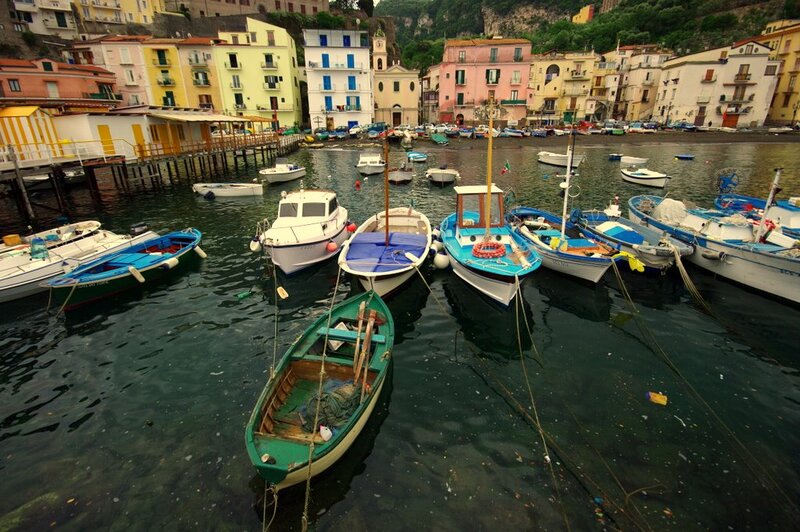 It is the fishing village of Sorrento, tucked into it’s own little bay and protected by headlands on either side. Rock walls and pontoons shelter the harbour from the swell of the Mediterranean and provide a protected mooring for a fleet of small fishing boats. 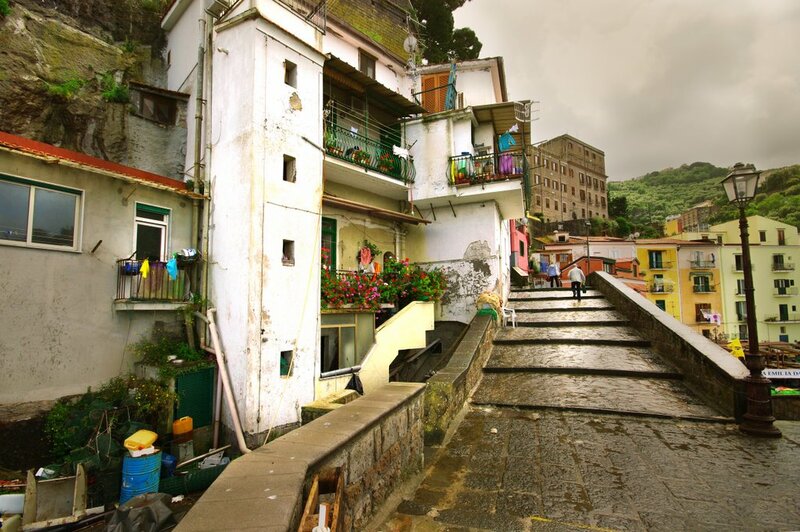 Access from the main town of Sorrento is via a winding path that tunnels through the headland. You can also catch the bus. 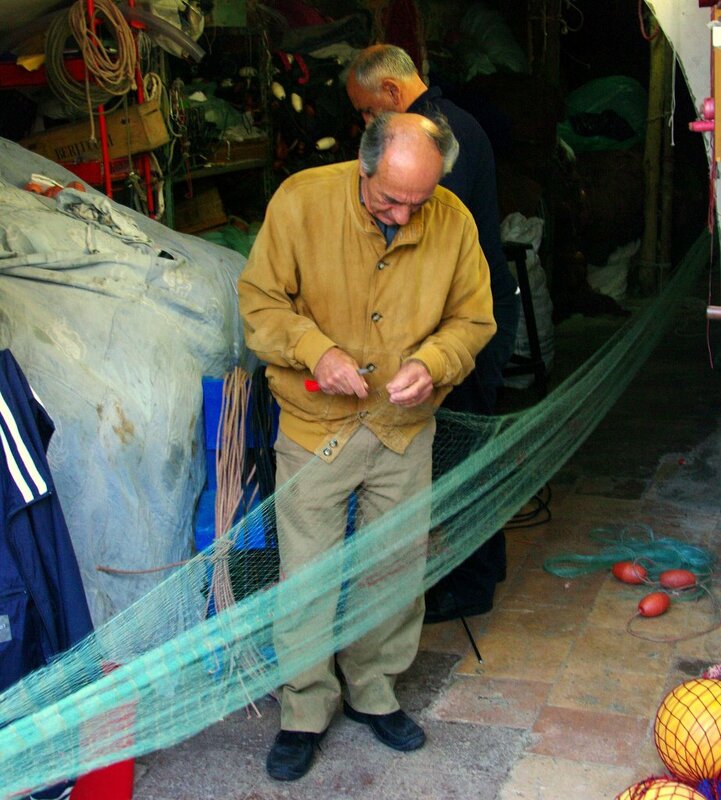 It follows the ridge behind the town then drops and twists to the marina – not a trip for the faint hearted, but then, any bus trip around Sorrento delivers the adrenaline equivalent to a roller coaster ride. 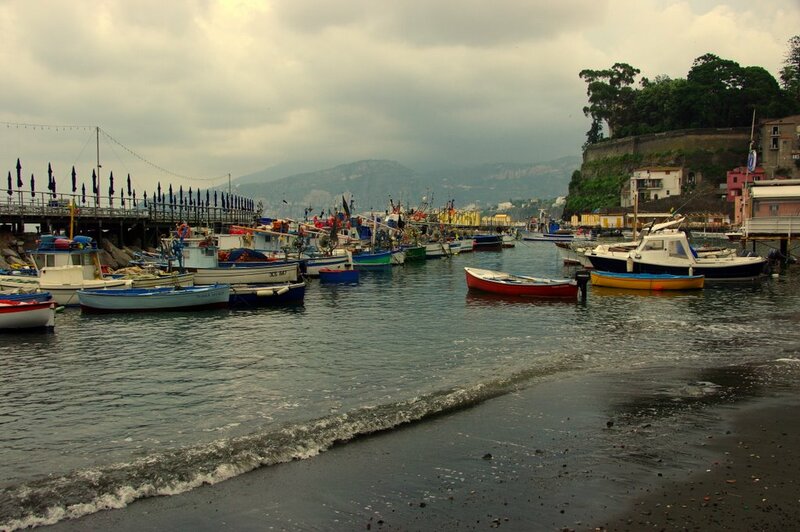 A beach of black volcanic sand is dotted with colored fishing boats and set against a backdrop of old painted buildings. 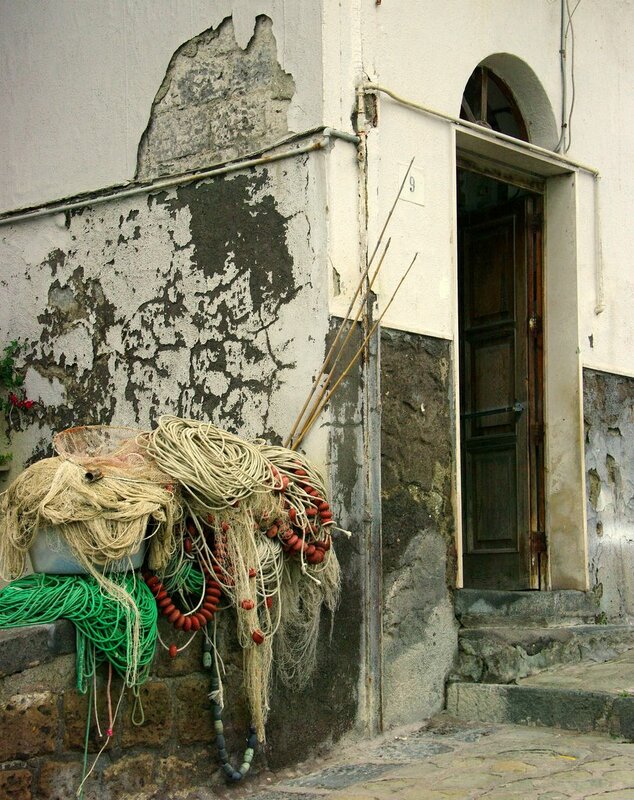 Many of the houses are owned by fishermen and piles of nets floats and ropes fill the alleyways. 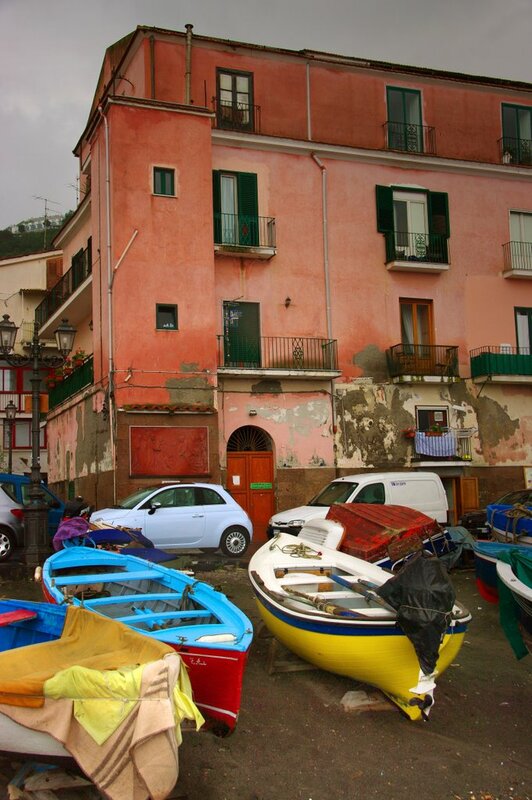 Most of the Sorrento fleet are still the old, brightly painted wooden boats that have been used for hundreds of years. 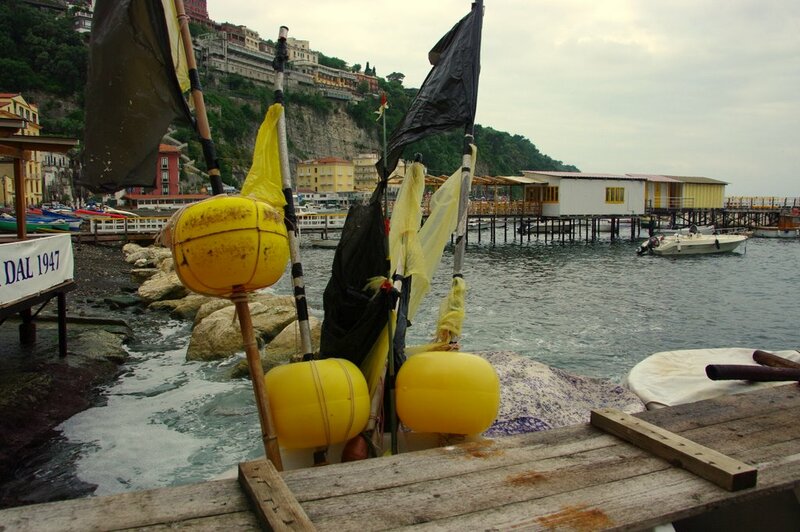 This entry was posted in Boats, Italy, Sorrento, Travel and tagged Fishing Boats, fishing village, Italy, Marina Grande, Sorrento by splashingpaint. Bookmark the permalink. Absolutely stunning. I think I want to live there. The beach, the beautiful orange roofs. 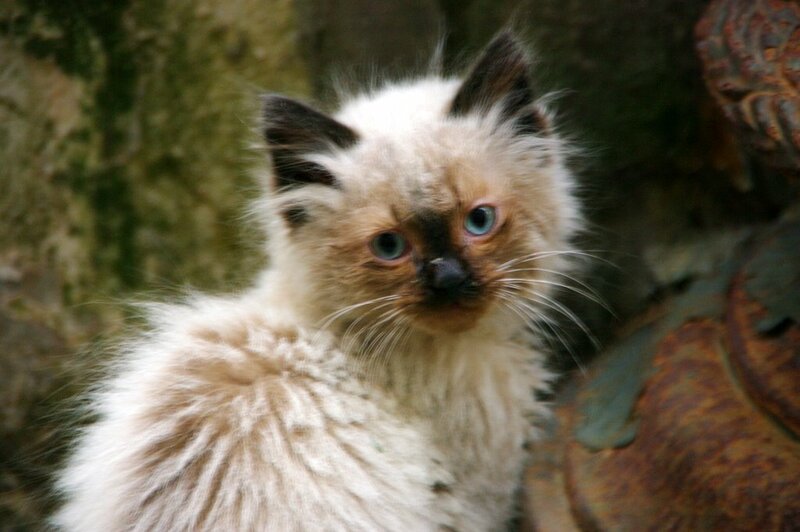 The cats! I could never take that bus though. Plus I am allergic to fish, other than that it looks like the place for me! Thanks for sharing a beautiful part of the world with the rest of us. Howdy John, This is a lot of fun. 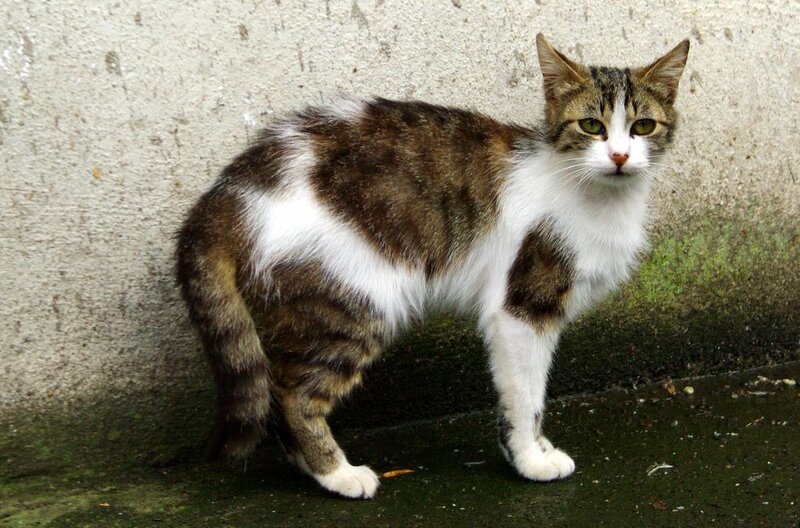 Google Street View has a really great view in the same general area (View) as some of your photos. Looks like you could spend a life time just drawing and painting in that part of Italy. 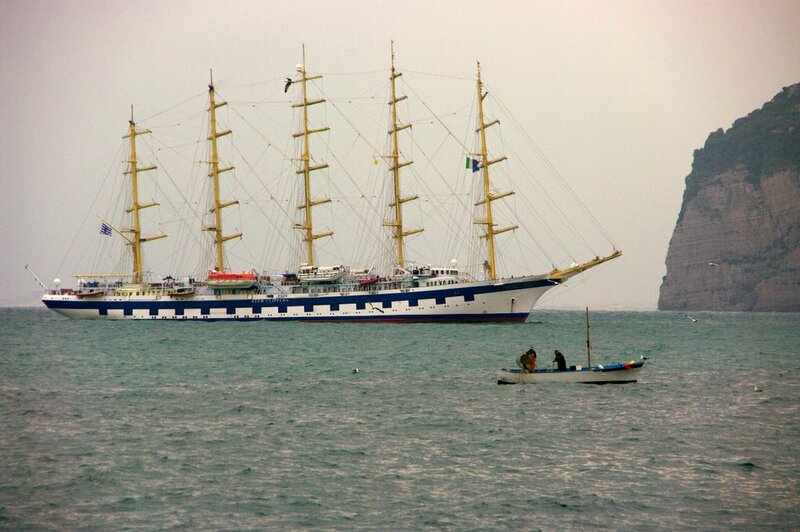 I hope the weather is beautiful while your there. Thank you for taking the time to show us such a lovely part of the world. For those of us who cannot travel that far it is wonderful to see parts of Italy through the eyes of a fellow artist. I will be anxious to see the paintings that result from your trip!! Looks beautiful Johnny. Hope you guys are having fun! the picture before the last one is beautiful. looks like a painting..